Explosive energy, heightened focus and an overwhelming urge to tackle any challenge...that's the Cellucor C4 experience. Millions of people ­ ranging from beginners all the way up to the elite competitors, have relied on C4 to help them turn their ambitions into achievements. As America's #1 selling pre-workout, C4 Original lives up to its solid reputation with a classic formula for advanced energy, endurance, focus and pumps! But with a new bottle design and more delicious flavor options for you to choose from, you'll feel like it's your very first time experiencing the C4 you know and love. Whether you're just starting a fitness journey or you're striving to reach that next level, C4 Original will help you unlock your full potential. "WARNING: THIS PRODUCT IS ONLY INTENDED TO BE CONSUMED BY HEALTHY ADULTS, 18 YEARS OF AGE OR OLDER. Do not use this product if you are pregnant, nursing, or are currently taking nitrates for chest pain or if you are taking medication used to treat erectile dysfunction such as PDE-5 inhibitors. Before using this product, consult a licensed, qualified, healthcare professional, including but not limited to, if: you are taking antidepressants such as MAOI (Monoamine Oxidase Inhibitor) or SSRI, blood thinners, nonsteroidal anti-inflammatory drugs, pseudoephedrine, or you are taking any other dietary supplement, prescription drug or over-the-counter medication; or if, you suspect you have or have been treated for, diagnosed with or have a family history of, any medical condition, including but not limited to: high or low blood pressure, diabetes, glaucoma, anxiety, cardiovascular, psychiatric or seizure disorders, cardiac arrhythmia, stroke, heart, liver, kidney or thyroid disease, or difficulty urinating due to prostate enlargement. 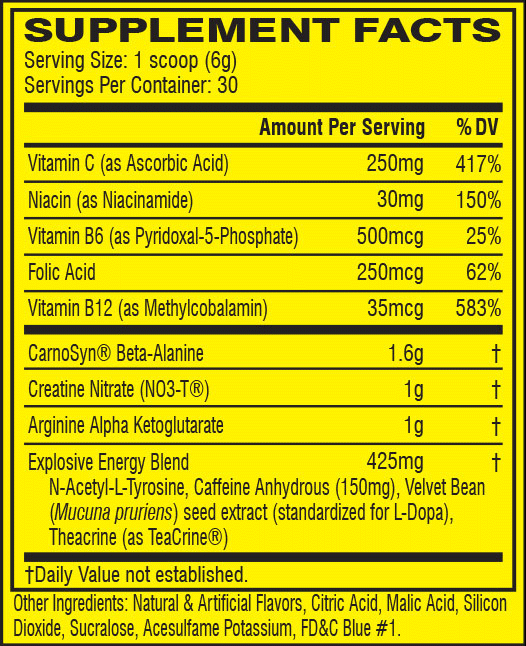 This product contains caffeine and should not be used by individuals wishing to eliminate caffeine from their diet or in combination with caffeine or stimulants from other sources including but not limited to, coffee, tea, soda, or other dietary supplements and medications. Discontinue 2 weeks prior to surgery. Immediately discontinue use and contact a medical doctor if you experience any adverse reaction to this product. Do not exceed recommendations for Suggested Use. Use only as directed. Do not use if safety seal is broken or missing. Store in a cool dry place. KEEP OUT OF REACH OF CHILDREN." 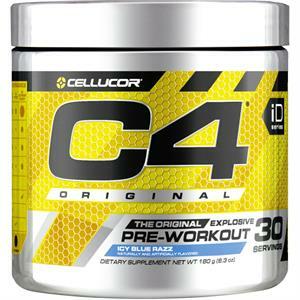 Cellucor C4 is now offered in "Gen4". 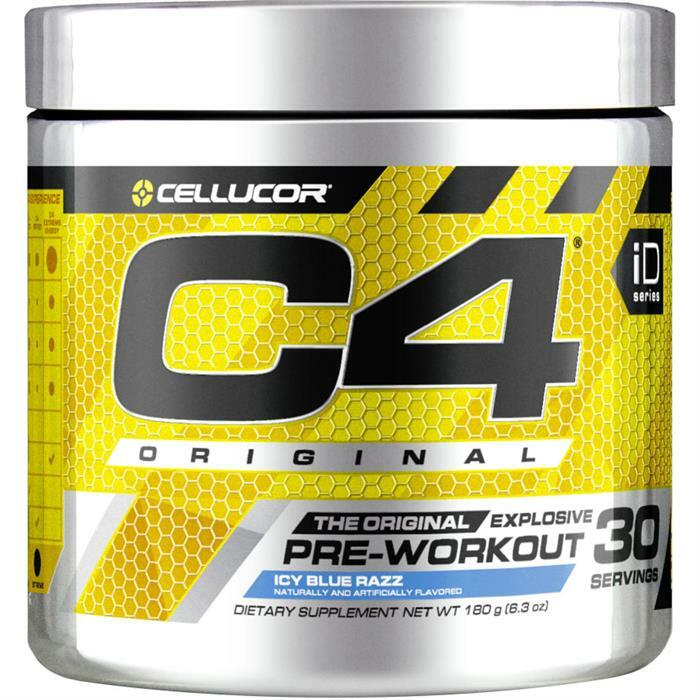 C4 has a long running record of being the #1 pre-workout product in the country. Cellucor C4 delivers a great PUMP in the gym! 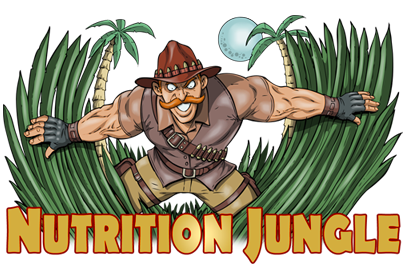 Key ingredients help deliver blood flow to the muscle tissue, warming the muscle and protecting against injury. The increased blood flow, not only gives you a great pump, but while blood flow is increased to the muscle tissue, the blood flow also takes away Lactic Acid, giving you longer endurance. The energy boosting properties, give lasting energy to power through the toughest work outs, and great mental focus to keep your head in the game. Cellucor is an absolute pleasure to consume with delicious flavor choices!